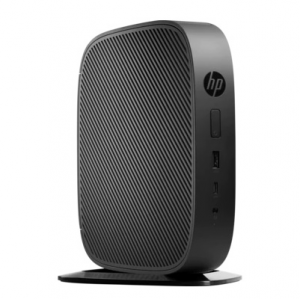 • The HP t530 has raised the stakes for thin client design. Get all the features you need in an exceptionally modern, compact device. And with quiet, solid-state operation and multiple deployment options, it fits perfectly into any workspace. 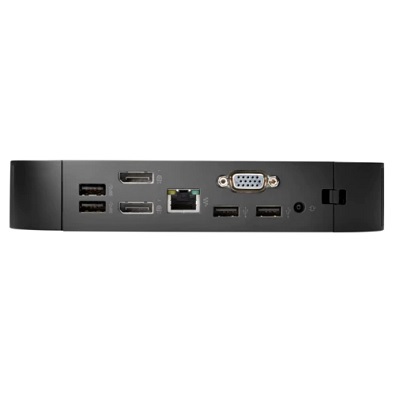 • Easily tackle all your computing demands with the newest AMD thin client technology. Whether doing offloaded processing or graphics rendering, you’ll get an amazing PC-like experience in the cloud. 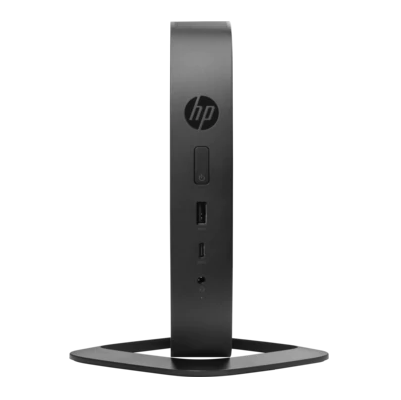 • Finally a thin client built for today and tomorrow. Packed with flash storage, memory and connectivity options, along with multiple ports including USB-C to support both old and new peripherals, your transition into the future will be seamless..
• Introducing incredible durability engineered around an AMD GX-215JJ dual-core 1.5 – 2.0 GHz SoC with Radeon R2E graphics and a fully solid-state fan-less design. Welcome to a future-focused desktop thin client experience. • Security and performance go hand in hand with newly designed embedded operating systems and Trusted Platform Module hardware. Virtualized cloud computing ensures against system threats. • Support comes naturally when you have a choice of USB ports, including USB-C, serial and VGA ports. And with two DisplayPort outputs, we’ve got support covered, from every angle.